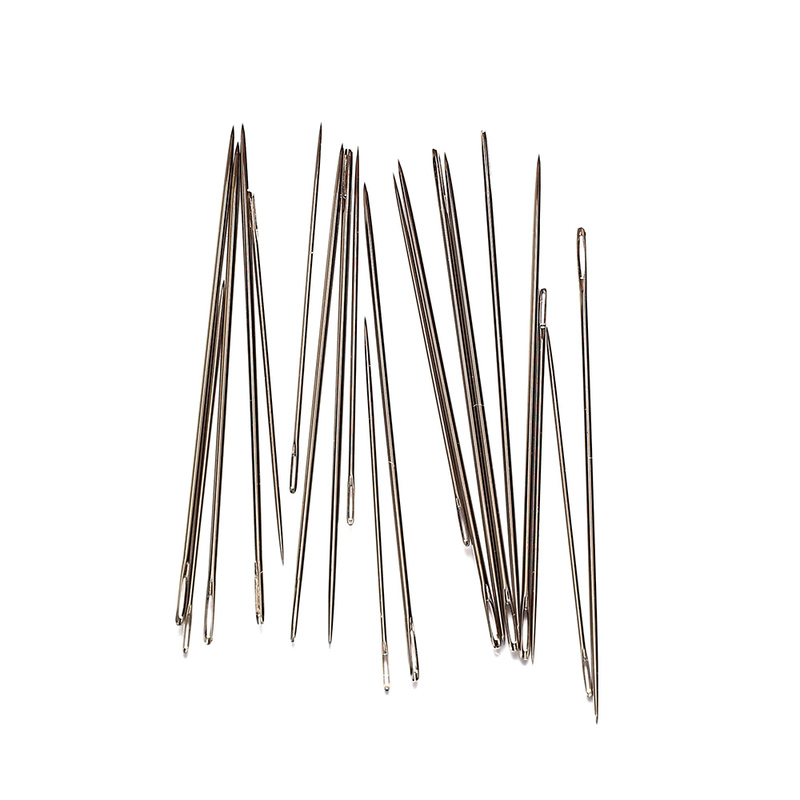 Embroidery needles in bulk quantities of 1000 loose needles wrapped in black paper. Embroidery needles are sometimes referred to as Crewel Needles. Embroidery needles are the same as a Sharp needle and they have a sharp point. However, they have a long, extra large eye, which makes threading the needle so much easier when using multiple strands of stranded cotton embroidery thread.